Knopf Publishing Group, 9780307956996, 701pp. It is December 6, 1941. America stands at the brink of World War II. Last hopes for peace are shattered when Japanese squadrons bomb Pearl Harbor. Los Angeles has been a haven for loyal Japanese-Americans but now, war fever and race hate grip the city and the Japanese internment begins. The hellish murder of a Japanese family summons three men and one woman. William H. Parker is a captain on the Los Angeles Police Department. He's superbly gifted, corrosively ambitious, liquored-up, and consumed by dubious ideology. He is bitterly at odds with Sergeant Dudley Smith Irish emigre, ex-IRA killer, fledgling war profiteer. Hideo Ashida is a police chemist and the only Japanese on the L.A. cop payroll. Kay Lake is a twenty-one-year-old dilettante looking for adventure. The investigation throws them together and rips them apart. The crime becomes a political storm center that brilliantly illuminates these four driven souls comrades, rivals, lovers, history's pawns. Perfidia is a novel of astonishments. It is World War II as you have never seen it, and Los Angeles as James Ellroy has never written it before. Here, he gives us the party at the edge of the abyss and the precipice of America's ascendance. Perfidia is that moment, spellbindingly captured. It beckons us to solve a great crime that, in its turn, explicates the crime of war itself. It is a great American novel. James Ellroy was born in Los Angeles in 1948. He is the author of the L.A. Quartet: The Black Dahlia, The Big Nowhere, L.A. Confidential, and White Jazz, and the Underworld U.S.A. Trilogy: American Tabloid, The Cold Six Thousand, and Blood s A Rover. These seven novels have won numerous honors and were international best sellers. 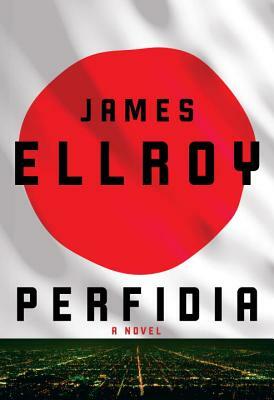 Perfidia is the first novel of the Second L.A. Quartet, Ellroy s fictional history of Los Angeles during World War II. The design of this extended work is unprecedented. Ellroy will take characters from the original quartet and trilogy, set between 1946 and 1972, and detail their lives as significantly younger people. Ellroy currently lives in Los Angeles. www.jamesellroy.net"